Church member defends two women being beaten - SABC News - Breaking news, special reports, world, business, sport coverage of all South African current events. Africa's news leader. Tsidi Spampul-Mnyatama says she is the woman seen beating the girls. 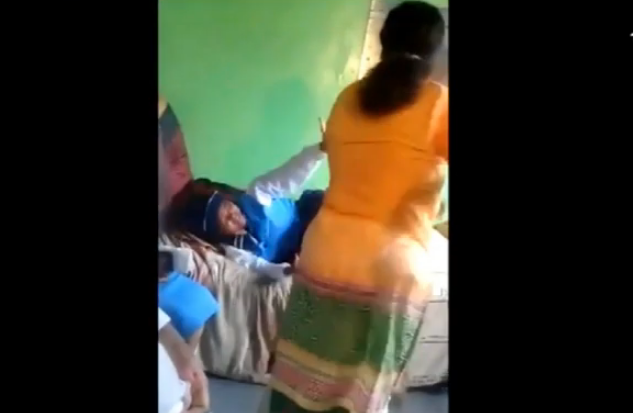 An alleged member of the Mdantsane based Endumisweni Faith Mission church in the Eastern Cape, which has been severely criticised after videos showing two young women being beaten surfaced, has defended the practice. Two videos of two young women in their early 20s surfaced showing them being beaten with a pipe in a church. It’s alleged the girls had gone to the cinema with friends and posted about their trip on Facebook. The church has defended itself, saying they employ corporal punishment as one of their disciplinary methods. The church involved has indicated it will respond to the video on Sunday. However, the Council of churches has condemned the incident. This entry was posted on 20 Jan 2019,07:39AM at 7:39 AM and is filed under South Africa, Homepage Latest Stories Slider. You can follow any responses to this entry through the RSS 2.0 feed. Both comments and pings are currently closed.